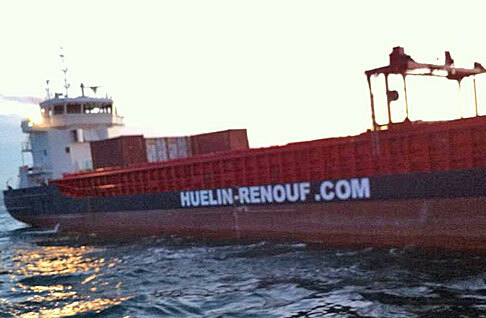 The new 90 meter long, 2500 tonne container vessel Huelin Dispatch went aground near Alderney, England. 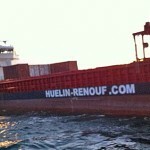 The Huelin Dispatch was on its maiden voyage with containers from Southampton to the Channel Islands when it grounded onto the rock pinnacle Pierre au Vraic. 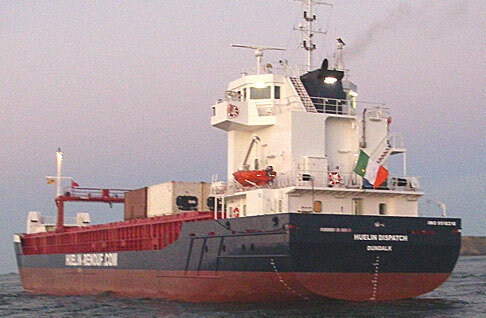 The vessel contacted the RNLI lifeboat from Alderney which inspected the vessel spotting damage to the Huelin Dispatch’s stern. 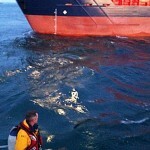 The crew also reported that there was some water ingress, but was able controlled by temporary repairs. 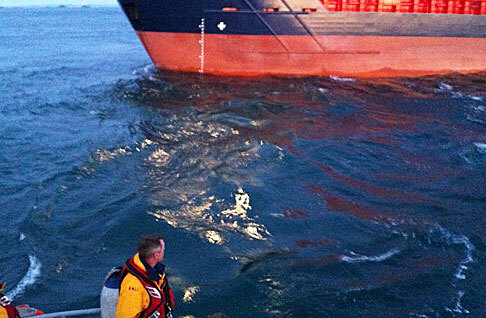 No reports of injuries to the eight crew on board. 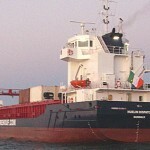 The container vessel refloated on the rising tide and proceeded to Falmouth to drydock.